The James Spicer Memorial Church Hall School in Chingford in North-East London, England was originally built in 1890. 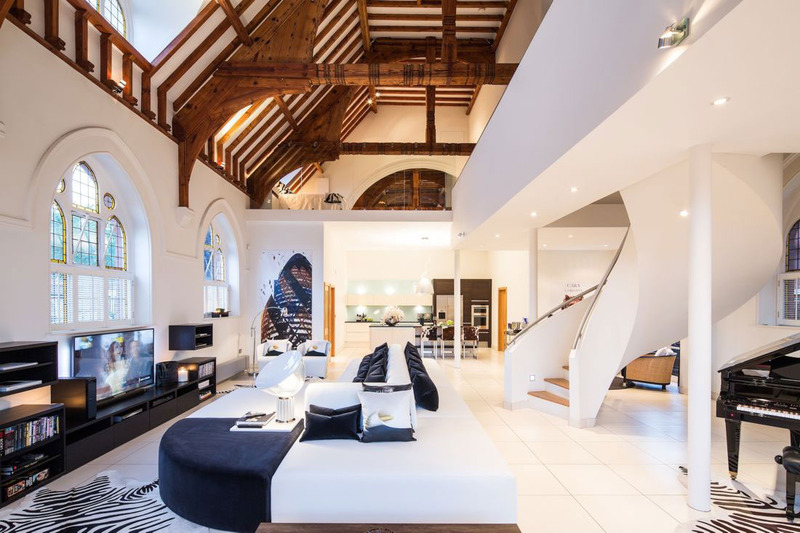 After years of declining attendances, the Grade II listed Gothic building was sold to a builder in 2004 who architecturally converted the Victorian church into a residential home. In 2013, the property changed hands again and was sold to Brazilian interior designer Gianna Camilotti who gave the interior space a makeover and turned it into a 21st Century modern family home.